In February every class in our school was learning about Energy! There was a great buzz about the place. Classes learned about where energy comes from, what we use it for and most importantly how to save it! 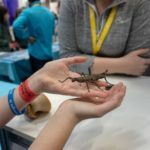 At the end of the month, the green school committee held 3 assemblies to showcase all of the work. 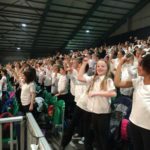 Some classes sang songs, like senior infants ‘Energy Shark’. 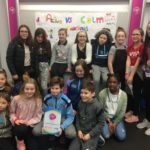 Other classes presented projects like 4th Class’s work on what energy is and where it comes from, First class made a huge collage called Sustainable Street. 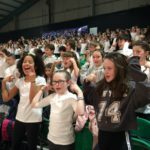 6th class wrote, directed and performed some energetic plays! There was plenty of poetry, art, songs and even a rap from Matthew in 4th class. Well done to the Green School Committee for hosting the assemblies and to everyone who took part! 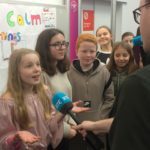 Check out the video 6th Class made. 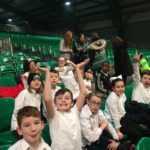 On the 2nd of February , 4th class went to the RDS for Peace Proms. Most of both of the classes were there. We hugely enjoyed the night, it was a magnificent experience. Before the main event, we had the rehearsal first. The crowd didn’t arrive until after our rehearsal. And what a crowd it was! 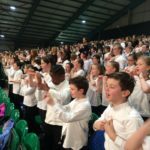 Around two and a half thousand children were in the choir, and most people`s parents came, not to mention other family members! Some teachers took part in it as well! The best songs in our opinion were ‘You’re the voice’ , the ‘Matilda Medley’ and the ‘Boogie Medley’. We would recommend it to all children who love music and dance. It was great fun! 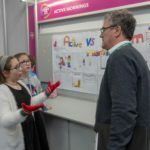 On Thursday 10th of January 2019, 5th class became the first to attend and exhibit at the Primary Science Fair, part of the B.T.Y.S.E. 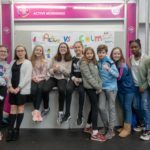 [BT young scientist exhibition] fair in the RDS in Dublin. We are happy to have received a plaque for participating in the fair and also being the best presenters. Our project is called active vs calm mornings. We picked this project because we wanted to see which one benefits our everyday performance in school more, being active or being calm. 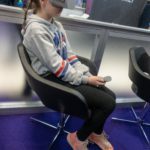 We were walking around the RDS for around 2 hours, the stalls that we approached were, a stall with bugs from other countries then we went to stalls with free samples of their products, we went to see the VR (virtual reality) as well as an inflatable planetarium. then we went to the teenagers stalls, we saw a very good project about pollution and trying to get plastic out of rivers, oceans and seas, some of the other projects were about your heart rate. We asked some people in the class about their favourite part: Anthea Dacdac said she liked the science shows. Dylan Palmer said he liked the 3D cinema. Harry Covey’s favourite part was the Coast Guard stand. Áine Barkers favourite bit was seeing her heart rate. Ben Sharon’s favourite bit was the project called “can computers sing.” Alexander Mackle and Anna Grogan’s favourite bit was presenting to the judges. Ned Kellys favorite bit was the laser maze. Other kids also enjoyed the racing robots and a few other amazing and brilliant stalls. 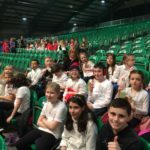 Overall this was a great experience, we all really enjoyed this, we would gladly go again and recommend going, to other classes and schools. this is also for secondary schools. We hope we can all return soon in secondary school. -written by, Isabella Nicolaou, Melanie Sek and Natalie Ansaldi. -Proofread by Ned Kelly.